XAT or Xavier Aptitude Test, conducted by Xavier Labour Relation Institute (XLRI), Jamshedpur on the behalf of Xavier Association of Management Institutes (XAMI) is a national-level management entrance examination for admission to MBA or PGDM courses. 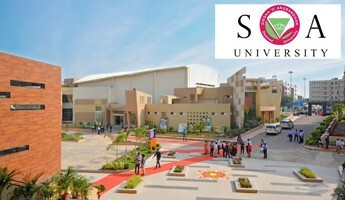 XAT is the 2nd largest MBA entrance exam after CAT and being regarded as the the toughest MBA entrance exams in India. The exam will be held on January 6, 2019 (Sunday). The exam name is Xavier Aptitude Test. 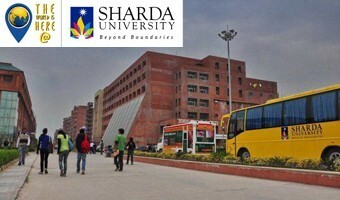 The conducting body is XLRI Jamshedpur. 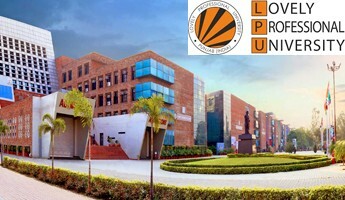 The purpose of test is for admission to XLRI and 150+ B-schools. The mode of the exam is Online. The duration of exam is 3:00 hours. The questions are of both Objective and Subjective questions. The total exam duration has been reduced from 3:35 hours to 3 hours. Essay writing section is no more. Agartala is no longer in the test centre list. The exam will be conducted across India in 46 cities. Candidates must have a graduation degree or equivalent qualification from any recognized university. Students appearing their final year examination can also apply. The candidates must be an Indian citizen. NRI and foreign candidates will apply through GMAT score. Decision Making: Data Arrangement Test, Conditions and Grouping Test, Complex Arrangement, Decision Making in a situation and Case let. Quantitative Ability: LCM and HCF, Profit and Loss, Percentages, Interest (Simple and Compound), Time and Distance, Speed, Time and Work, Averages, Ratio and Proportion and others, Number System, Algebra, Geometry including Co-ordinate Geometry, Mensuration, Pure Math, Venn diagrams, Linear Equations, Quadratic Equations, Complex Numbers, Logarithm, Progressions, Binomial Theorem, Surds and Indices, Inequalities, Permutation and Combination, Probability Functions, Set Theory, Mixtures and Alligations and Trigonometry. Essay Writing Test: The test taker will write a coherent and logical essay on the given topic. XAT 2019 Registration will be done through online mode by clicking on the official website. The registration will be started from the 3rd week of August 2018 and can be filled & submitted the XAT application form till last week of November 2018. The candidates can apply for more than one programme in a single application. The fee is paid by using credit card, debit card, online banking & also through demand draft & cash. The DD will be made in favour of XLRI Jamshedpur. XLRI Courses (If Interested): Rs. 1700 + Rs. 300 each course (additional fee). XAT Registration Fee (with late fee): Rs. 2000 + Rs. 500 each course (additional fee). Tips on Preparation of GMAT Full-Time V/S Part-Time MBA Marketing v/s Finance: Which Is Better For You? ?